Don Awunah, Abuja: The President of the National Union of Road Transport Workers (NURTW) Alhaji (Dr.) Najeem Usman Yasin and his executive members paid a courtesy call on the Inspector General of Police, IGP Ibrahim K. Idris NPM, mni, on the 29th September, 2016 at the Force Headquarters, Abuja. The President of NURTW thanked the IGP and appreciated the warm reception given to them. He stressed that the visit was mainly to strengthening the partnership with the Nigeria Police Force. He rejoiced with the IGP over his confirmation as the 19th indigenous Inspector General of Police. He further stated that the association has full confidence in the Force leadership to deliver in its mandate. He solicited the support of the Force, in ensuring safety of life and property of the populace. He also commended the concerted efforts of the officers and men of the Nigeria Police Force in the area of fighting crimes and criminality which he observed have reduced drastically. He intimated the IGP of their contributions to the development of the country and pointed out the area of challenge which is the operation of illegal motor parks across the country and pleaded for assistance in their fight against illegal parks, which have been used by men of the underworld to perpetrate atrocities ranging from kidnapping, robbery and act of terrorism etc. He urged the IGP to call on Commissioners of Police to give necessary assistance to their members at the State level. In his response, the IGP reiterated the importance of NURTW to the security architecture of the country. He promised the President of NURTW that all Commissioners of Police will give their maximum support to deal with most of their challenges at the State level, particularly the crackdown on operators of illegal Motor Park across the country. 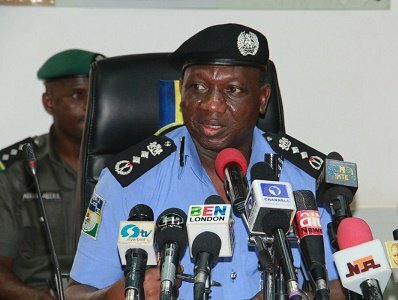 The IGP, enjoined the President of NURTW to put an end to factions within the association, while he also advised the leadership of NURTW to educate their members on security tips that will guarantee the safety of commuters and also ensure that their luggages are thoroughly screened before moving out of the Park. The IGP appreciated the President and his executives for the visit.